2 layers of 1.5" dive belt webbing attached to a 1.5" AUSTRIALPIN COBRA buckle, and an elastic keeper for the tail. Simple, effective, and priced awesome! 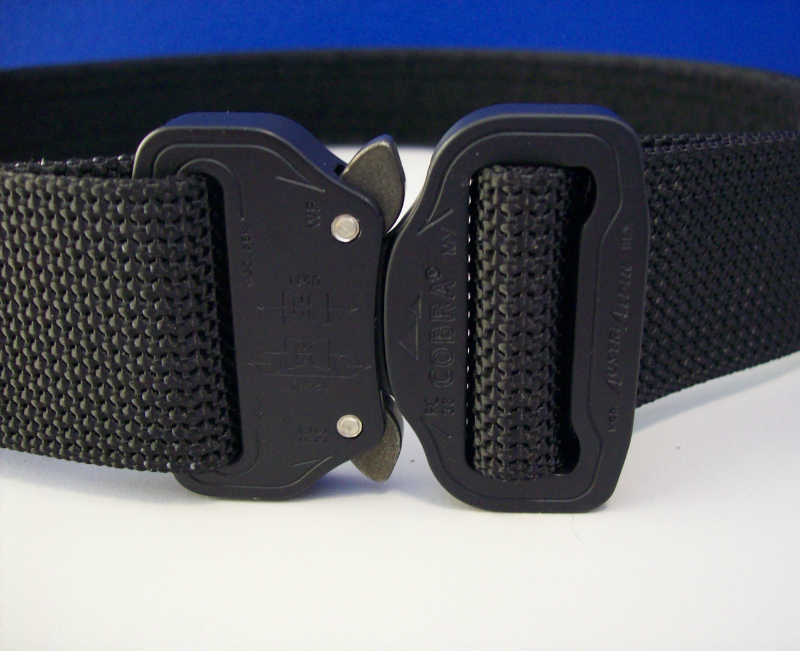 This is the fastest and easiest belt to get in and out of belt loops. We've added a 1.5" x 4" Velcro patch panel by the buckle, except on wolf gray. SIZING: MEN - ORDER THE SAME SIZE BELT AS THE PANT SIZE YOU WEAR WHILE YOU CARRY. WOMEN - SEE FAQ. Copyright © 2019 Liberty Gun Belts ★ All Rights Reserved.